The year 2018 means favorable changes to the rules on VA military home loans. Before describing what they are and what they mean to you, make sure you understand what a military home loan is. 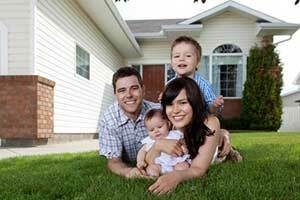 A military home loan, also known as a VA home loan, is a very popular military benefit. 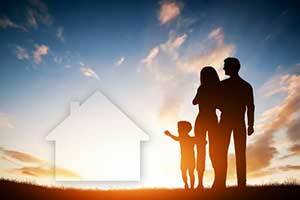 A VA home loan is a home mortgage loan that is guaranteed by the U.S. Department of Veterans Affairs (VA). The loan is typically issued by qualified lenders. The VA loan provides long-term financing to eligible American veterans or their surviving spouses. An eligible veteran can purchase properties with no down payment, no mortgage insurance, less closing costs, at a great interest rate, and under lenient credit guidelines, and many other benefits that make this program a great way to finance a home purchase. These loans first became available under the Servicemen’s Readjustment Act, passed by the United States Congress in 1944. Under the law and its subsequent amendments, the VA may guarantee or insure home, farm, and business loans made to veterans by lending institutions. Under this authority, the VA has insured millions of loans and mobile homes. Until 1992, the VA loan guarantee program was available only to veterans who served on active duty during specified periods. However, the program eligibility expanded in 1992 with the enactment of the Veterans Home Loan Program Amendments of 1992 (Public Law 102-547, approved 28 October 1992). It now includes Reservists and National Guard personnel who served honorably for at least six years without otherwise qualifying under the previous active duty provisions. These individuals must pay a slightly higher funding fee than veterans when obtaining a VA home loan. Veterans, active duty, guard or reserve, and military spouses potentially qualify for a VA home loan. The first step in obtaining a VA home loan is to apply for a VA Home Loan Certificate of Eligibility from the VA and provide proof of your military service. If you remarry after a certain age, you may still be eligible for the benefits. Certain United States citizens who served in the armed forces of a government allied with the United States in WWII. Individuals with service as members in certain organizations, such as Public Health Service officers, cadets at the United States Military, Air Force, or Coast Guard Academy, midshipmen at the United States Naval Academy, officers of National Oceanic & Atmospheric Administration, merchant seaman with WWII service, and others. For help with your eligibility and loan qualification, consult one of the many VA loan mortgage brokers at Fairfax Mortgage right away. Our mortgage brokers can obtain your VA Certificate of Eligibility for you online and work with you to maximize your VA loan benefits. If you are eligible for a VA home loan, your loan benefits just got better. The VA loan guaranty for loans closed after January 1, 2018 is 25% of loans up to $453,100 on average. This loan maximum is up from $424,100 in 2017. However, most northern Virginia counties are considered high cost areas. The maximum guaranty for a VA home loan in our area is 25% on loans up to $679,650. Although interest rates are still historically low, they will likely begin to rise along with an improving economy this year. If you act soon, you might be able to lock in today’s rate levels for thirty years. Why not try to secure a 2017 VA interest rate for as long as you keep your mortgage. Take advantage of your VA loan benefit, and call one of our VA home loan mortgage brokers at Fairfax Mortgage to see what your benefit may mean for you.